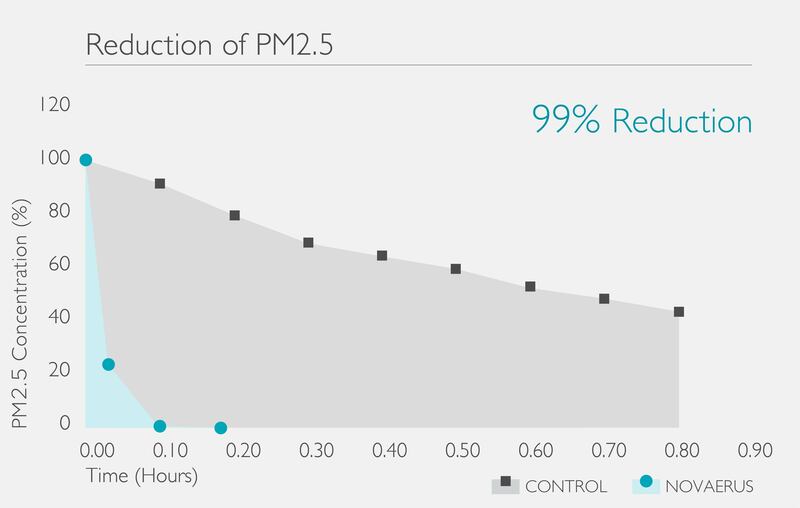 To evaluate the particulate and molecular efficiency of the NV1050 in a test chamber using DEHS. DEHS was generated in the laskin nozzle and injected into a room until a pre-set concentration was achieved then the air cleaner was turned on. The results were then compared to the normal reduction of particles over time in the test chamber. 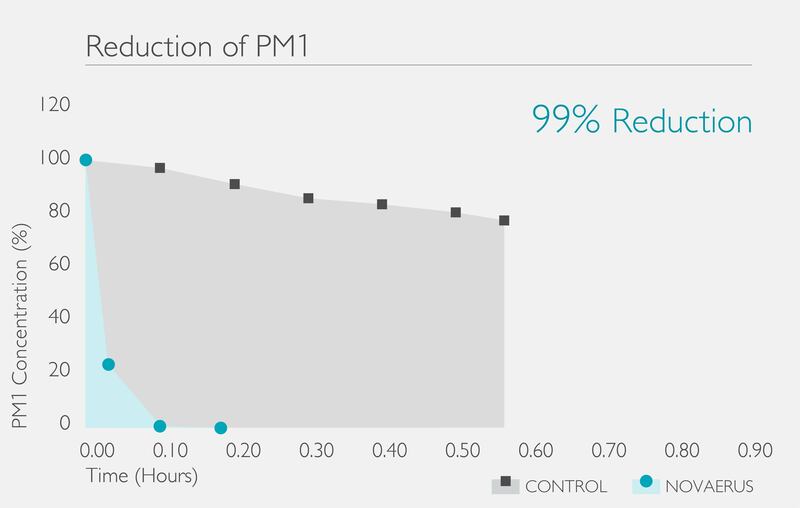 The NV1050 produced a CADR of 513 CFM against PM2.5 and a CADR of 507 CFM against PM1.0. It removed 99% of PM2.5 within 6.26 minutes and 99% of PM1.0 within 6.33 minutes.